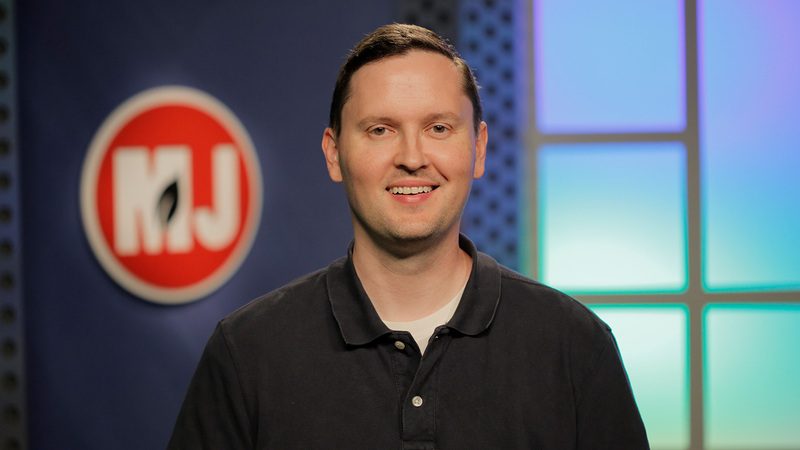 Beginning with this week’s show, Market Journal welcomes a new host…Troy Moling. 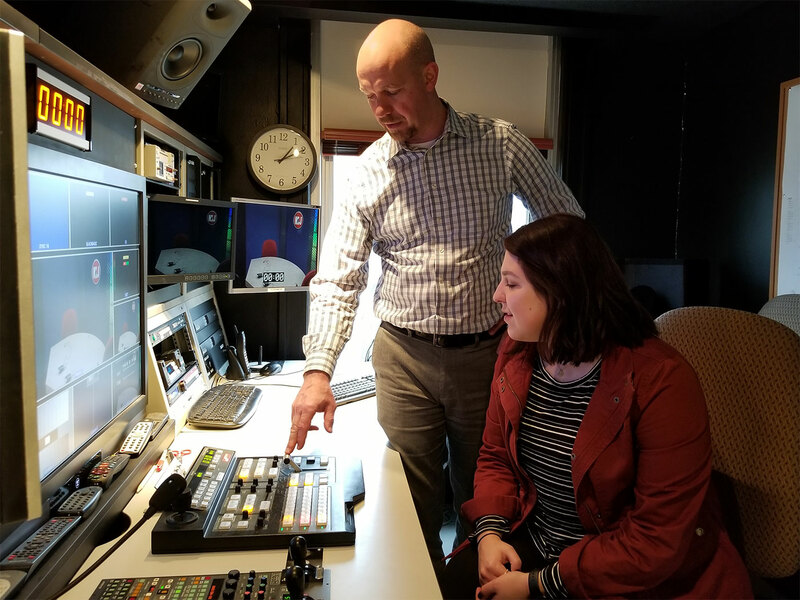 Troy's career in broadcasting and media spans over 16 years, and he’s excited to bring his love for video and storytelling to the Market Journal team. A southerner by way of Memphis, Troy has worked behind the scenes as a producer and multimedia journalist, and in front of the camera as a meteorologist and anchor. In fact, before coming to Market Journal, Troy served as the managing editor and co-host for Farmweek, Mississippi’s oldest and only locally-produced agricultural TV show. We are actively searching for a Video Producer/Host to join our team. The primary responsibility for this position is serving as the host of our weekly agricultural news program, Market Journal. 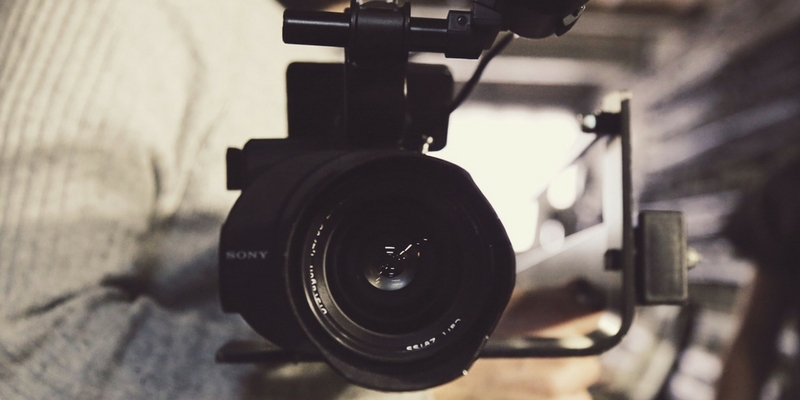 In addition to researching stories, scheduling and conducting interviews, and writing stories and scripts, candidates for this position need to have strong skills in video and audio production. 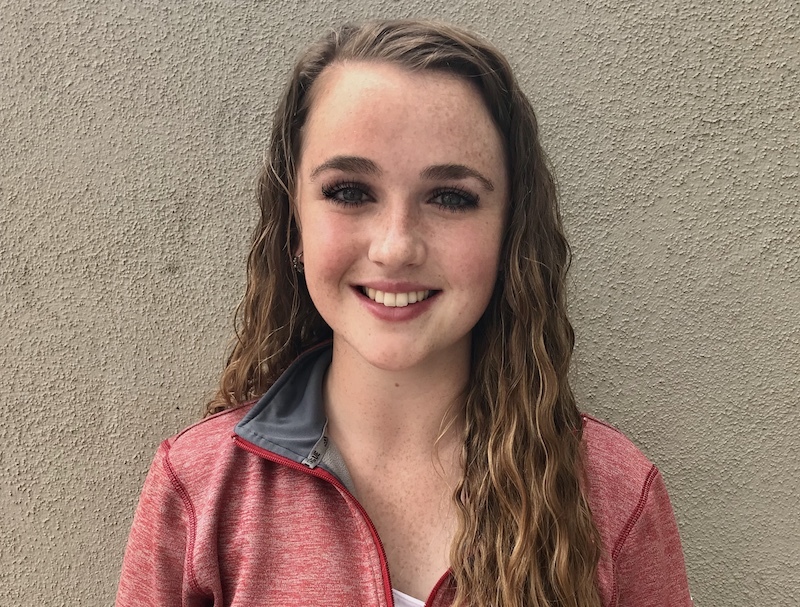 IANR Media is pleased to announce that Alice Akers has been chosen as the 2018 Ralston Graham Student Excellence in Communication intern. The internship provides opportunities to eligible college students, who are in good standing academically, to be exposed to “real world” work experiences related to their field of study and interests. This includes various communication and technology related areas where IANR Media has expertise such as web development, graphic design, writing/editing, mobile apps, video production, photography, marketing, social media and programming. 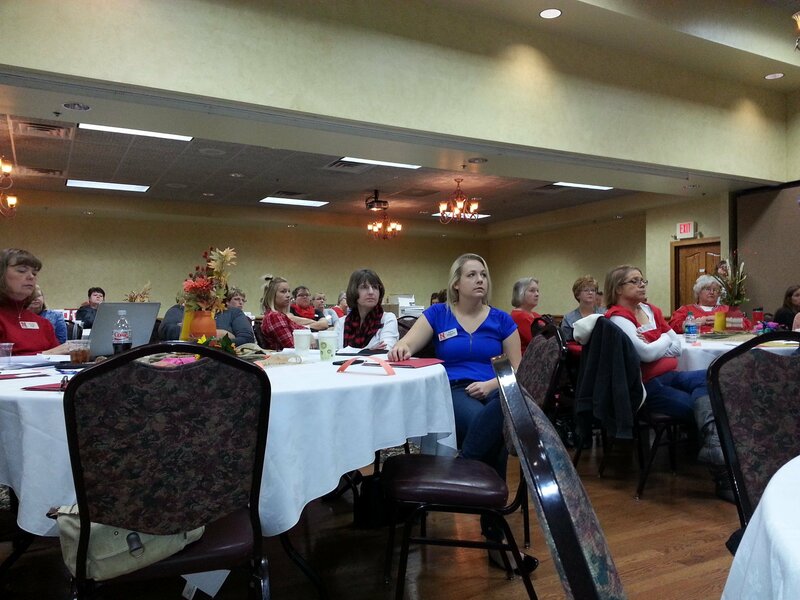 In October, IANR Media Web Strategist Anne Holz presented on web content strategy at the Nebraska Extension Front Door Forum in Norfolk, NE. The Front Door Forum is an annual two-day conference attended by Nebraska Extension staff to learn useful tips for in the office and to meet and interact with coworkers from across the state. 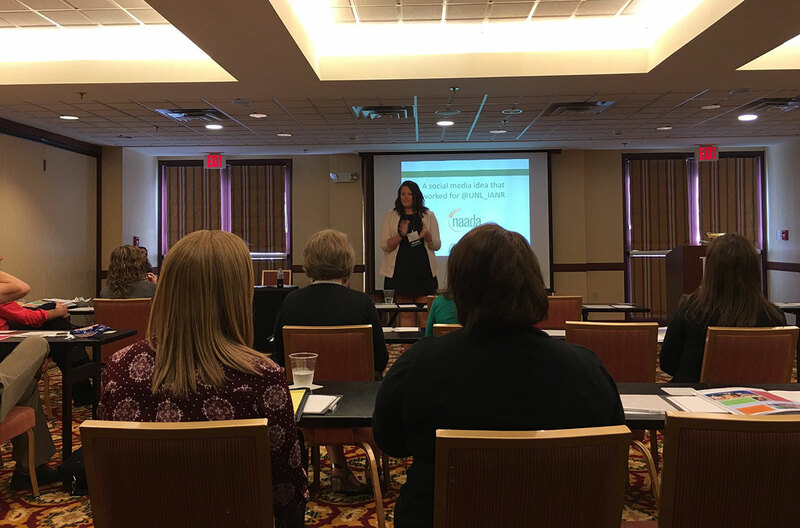 In June, IANR Media Specialist Haley Steinkuhler participated in the National Agricultural Alumni and Development Association(NAADA) annual conference in Asheville, North Carolina. NAADA is an organization of more than 350 professionals from around the country dedicated to the advancement of agricultural and related sciences at the 40 plus higher education institutions they represent. In addition to networking with NAADA members, Haley also served on a panel discussing social media ideas that have actually worked. Anne Holz and Haley Steinkuhler from IANR Media presented on website and social media best practices to specialists, educators and support staff at the West Central Research and Extension Center in North Platte, NE. The workshop was organized by Cathy Fox at WCREC back in December of 2015 to help faculty and staff become more efficient and strategic on their website and social media channels. 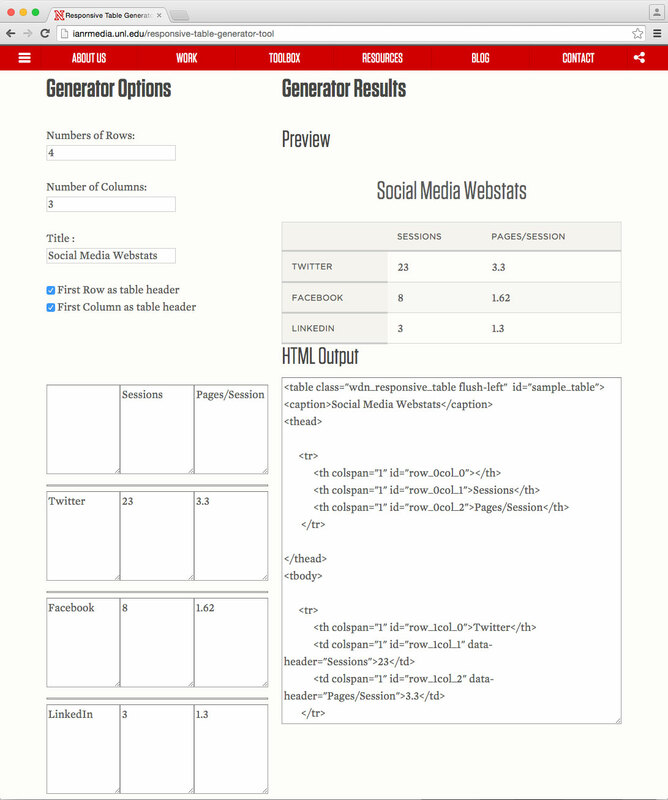 IANR Media unveiled a new Responsive Table Generator Tool at the first Web Manager Network meeting on Thursday, October 15, 2015. Since then, the tool has been updated to work in popular browsers including Safari, Chrome and Firefox. The tool generates HTML code that can be copy and pasted into a UNLcms editor to display table data in a format that is mobile-friendly. Mike Kamm's video work receives Golden ARC Award! 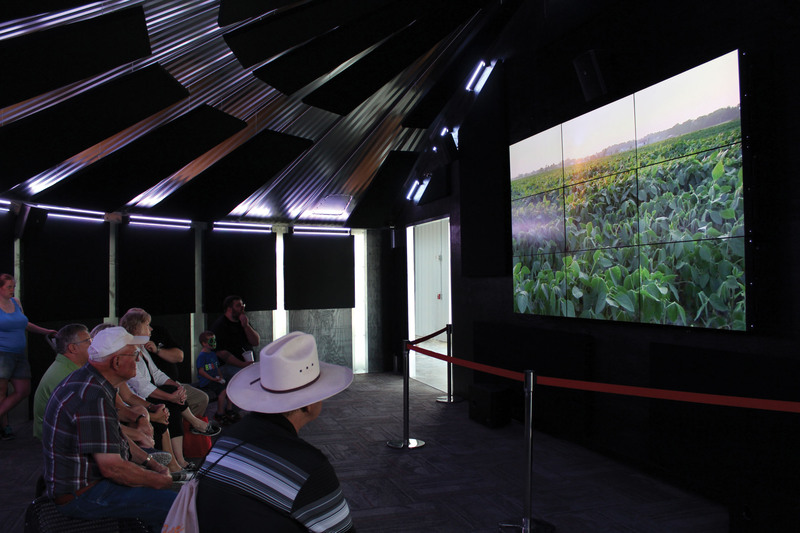 If you have visited the Raising Nebraska exhibit at the state fair grounds in Grand Island, then there is a good chance you have seen the Golden ARC winning "Nebraska Agriculture" video which plays in the Grain Bin Theater . Welcome to the IANR Media blog. The IANR Media blog is where you can read about the latest happenings at IANR Media. IANR Media resides in the Agriculture Communications Building. 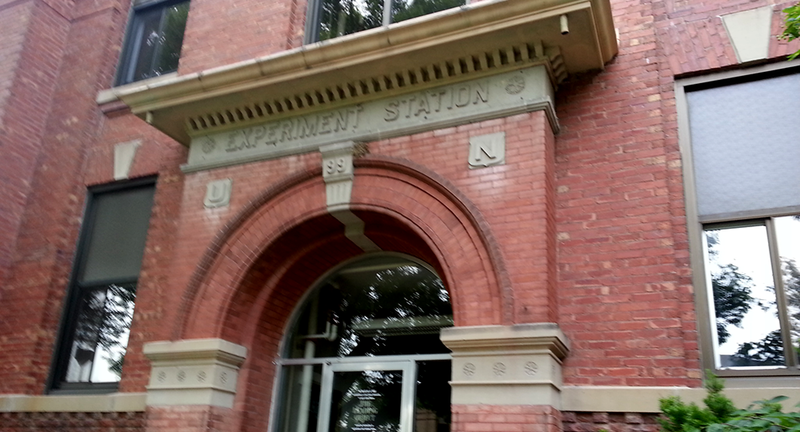 Built in 1899, Ag Comm is the oldest building on UNL's East Campus. The building was once home to Experiment Station offices, classrooms and laboratories.